When people ask about your business there’s usually a mix of positive and neutral feelings. They may be impressed, sometimes they’re asking to be polite, and other times they’re just making conversation. Mention that you run your business out of your home and that mixed bag of feelings can turn negative. Some may believe you’re going to fail. The assuption masquerades in a number of different ways: that you’re not serious, you’re inexperienced, or you simply don’t have what it takes. Many home-based businesses fail, but it’s not because of the usual problems (e.g. sales ability, time, dedication, money, etc.). These problems don’t make things easier, but they’re not the business killers entrepreneurs have made them out to be. 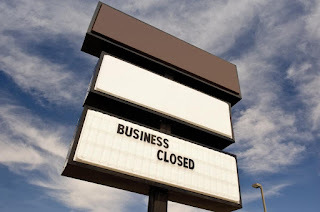 Here’s some of the main reasons behind businesses’ failure. Generating sales leads is a struggle for most home-based businesses. It’s common for the well to run dry after family, friends and connections have been used up. Some entrepreneurs can afford to set and maintain an advertising budget but most can’t – at least, not at first. Many of them are told they’ll have to do sales and marketing on their own. The part that’s left out? The learning curve is steep, the cost is high and the skills needed are difficult to master. Most businesses run out of money before they’ve achieved the sales and traction their business needs to survive. It’s the chicken and the egg problem. You need money to advertise, but you can’t do that without sales (or can you?). When it comes to generating a massive amount of leads, money is optional. Entrepreneurs tend to rely on the usual tactics (advertising, content, social media, etc.) they’re time consuming, but they work. Most entrepreneurs don’t know how to go about using non-traditional channels to attract customers without spending their money. Work to identify methods (like joint venture partnerships or the dragnet method) that give you the amount of leads you’re looking for without having to invest your own money upfront. A systematic approach can generate lots of leads – especially if you’re short on cash. Most entrepreneurs understand the importance of marketing. What they usually miss is the importance of having a marketing system. They work hard to make the phone ring and calls start coming in. They’re suddenly flooded with more customers than they can handle. They close as many as they can, ignore the rest and get to work. Eventually, demand comes to a screeching halt. At that point, they’re out of leads and they’re struggling. So when a new customer comes in they do whatever it takes to close the sale – which usually means deep discounts, poor terms, and abuse. Their cash flow drops like a rock. Create a marketing system that removes you from the day-to-day equation. Instead of chasing after each and every lead, create content, tools, and resources that draws customers in to you. These items act as lead magnets and they give you leverage. So even if you stop marketing, the pieces you’ve already created continue to work hard for you, generating leads day in, day out. The right marketing system draws customers in, but it also nurtures the relationship. It continues to help customers solve their problems. How do you know you’ve got the right marketing system? When it turns you and your team into order takers. If there’s one thing entrepreneurs are afraid of it’s losing the business. No one wants to lose a customer or the opportunity to make a sale. So what do we do as entrepreneurs? We censor ourselves. We keep things quiet, and we avoid conflict. If it’s going to create a problem we avoid it. The fear is, if you rock the boat customers will leave. But interestingly enough, this “yes man” behavior causes customers to leave. Customers don’t want a yes man. They want someone that’s going to “tell them the kind truth.” Someone who’s willing to ask dumb questions and look out for them. A large part of the concern stems from a fear of selling. Many entrepreneurs would sign-up for a root canal before volunteering to sell. But there’s a simple and easy method you can use immediately to eliminate this fear. Stop selling. Consult with customers instead; customers don’t want to hear another sales pitch and they’re not looking for a product to buy. They want a solution to their problem and an advocate. Be willing to walk away if it’s not a great fit (for you or them). Be willing to give away small things in order to make the big things (e.g. a long term relationship) work. If you’ve cultivated your lead sources and created a marketing system, giving or walking away shouldn’t be a problem. Drop the pitch, focus on serving customers and solving their problems. unprepared for. When these entrepreneurs run into a problem they haven’t seen before, many of them fall apart. Without a support system in place, there’s no one to help them overcome. So they panic, making their problems worse. When I tell entrepreneurs to create a support system they almost inevitably respond with “How? I don’t know anyone.” First things first. Most people have friends of friends, some kind of indirect connection they reach out to, so it’s a good idea to start there. If you’re one of those rare people who don’t have any connections to speak of start with the Ben Franklin effect. Ask for the help and favor you need. Use the Ben Franklin effect to surround yourself with people that can help you when you need it. Do the same for them whenever you can. Some home-based business don’t go through this. A few of them have the resources and know-how they need from the start to avoid these problems. But most don’t. You could say these problems are inevitable for those that don’t. But it doesn’t have to be that way. Using the tips I’ve shared here, you can find, fix or change the potential points of failure you come across in your business. Follow the strategies and tips I’ve outlined here and create your own success story.